im sure i remember reading somewhere about their octane ratings being measured different to ours, so im sure its still very similar to our 91-95-98 but it just works out a lower number if that makes sense? Yeah with the octane ratings, they figure it differently from the rest of the world as with most things the US do. They go off the Pump octane number (PON) rather than the Research octane number (RON), which works out slightly differently. Yeah, summit racing was where the Roadkill guys did the ultimate Elco engine swap in the snow. It's just a small block chevy into a car that already had a small block chevy...5 hours tops. Luckily I copied all of the above while Fordmods crashed. Lol, i work in spare parts, if i had $1 for every time some idiot tried to tell me all small block chevs are the same and he didnt need to tell me what year/model it came from. there are lots of bits that wont interchange between applications. We would both be rich spare parts guys lol! We were supposed to have a stop over in Vancouver for dinner but we got bumped to another flight. That sucked, was really looking forward to one last surprise for my wife on the way home. She didn't know we were leaving Hawaii & heading to the USA, that was a total surprise. I should get a few more pics uploaded to photobucket soon. 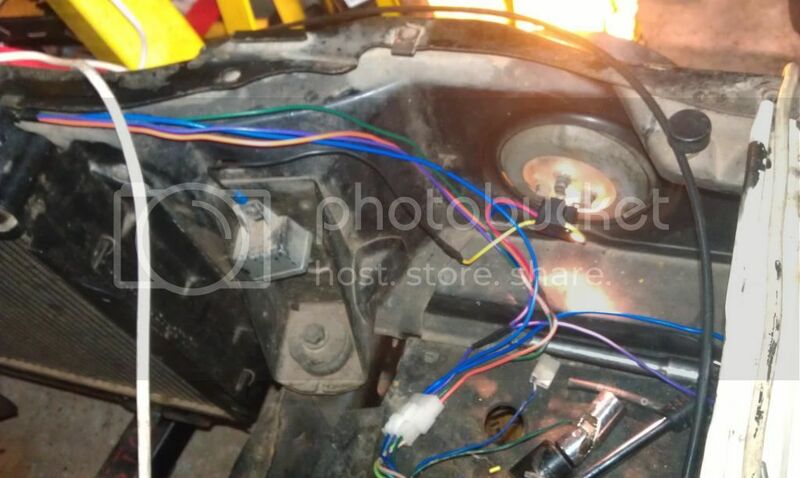 I've been slowly getting a few bits for my torana, I now have a 350 holley and extractors, just need a fuel tank and to rebuild my spare electronic dizzy so I can get it running n/a for now. Due to a surprise on the way, I now can't find the cash to finish my turbo setup before I get the car on the road again, so I'm going to get it on the road on petrol or even dual fuel n/a, so I can drive it a little while saving cash to finish the turbo setup off. Anyone out there have a fuel tank for a LH torana 4dr in or around Melbourne? Still hunting for a fuel tank for my torana. Haven't been able to find one in Vic so far. It's not urgent but I'd like to find one sooner than later. 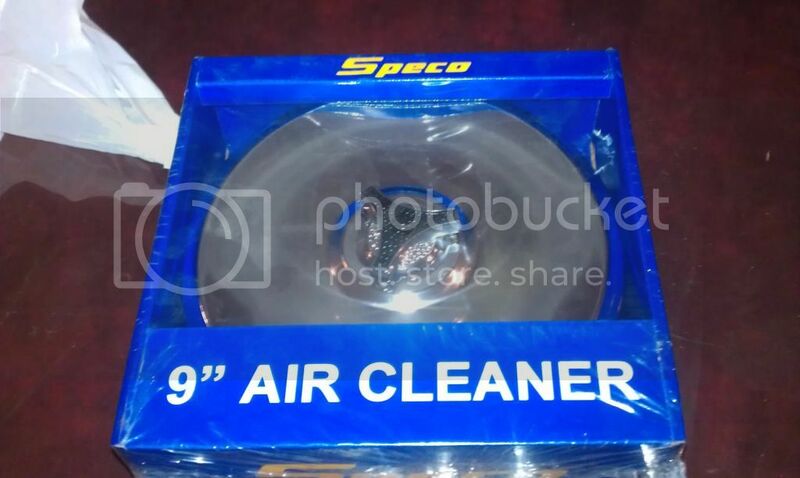 Picked up a speco 9 inch chrome air cleaner setup for it too. I've installed & wired up my electronic dizzy setup in my old Hz pano, and picked up a carb kit for the quadrajet too. 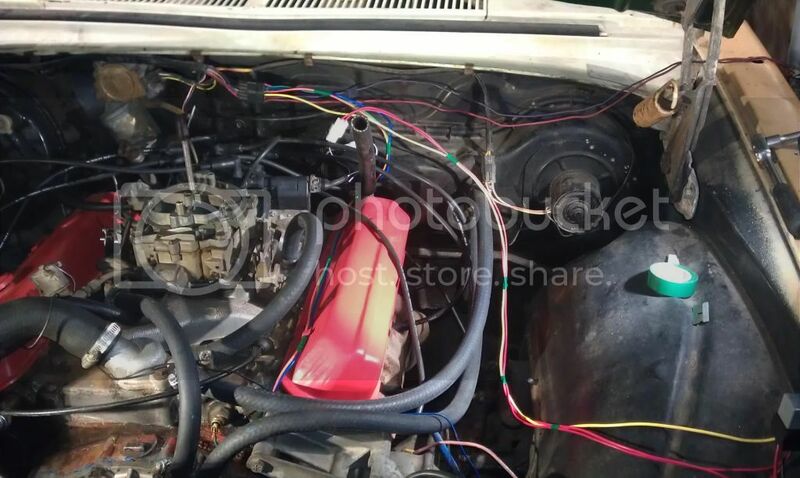 The van is running rich, I have a feeling the jets might be for a 308, so I'm going to tear the carb down & measure the jets, hopefully they are a number 70 which would be for a 253, if they are, it's probably something else causing it to run rich like a clogged passage or high float level. I found the power steering pump has started to leak too, needs a new seal, lucky I have a few seal kits in the shed, just have to get around to doing it. I got my bomb car converted to LPG, great to be saving money on running back & forth to work. So s**t my knee isn't right yet, I really wanna get back into my modified Ghia and my modified Xr8! On the topic of the Ghia, I've picked up a bigger set of LPG injectors, the largest set for my setup, the Jet21's. Hopefully it will pull a bit harder & higher into the rev range on LPG. I know to really get the most from the mods I have to switch back to petrol, but if I can get it to pull to 4500rpm on LPG instead of the 3500rpm it currently does, I'll be a happy man because the engine pulls real hard on petrol from 2500 to 4500, I'd like to be able to do the same on LPG. The new injectors are supposed to flow enough for the power I should be making. On the topic of gas conversions, have had a Liquid injection setup installed in the wife's ba Xr8 5spd. Man, it hauls a***, and is now about half the weekly running costs too! Lpg Injection FTW! Been busy doing not a whole lot, only a couple little things that I can do sitting down at my workbench after measurements have been done like wiring, and buying tools like a very cool Narva crimp tool that was on a trade sale @ work, going to save me some money making new battery leads for the panel van, as well as it has made the job of making the new headlight wiring loom much quicker & easier. 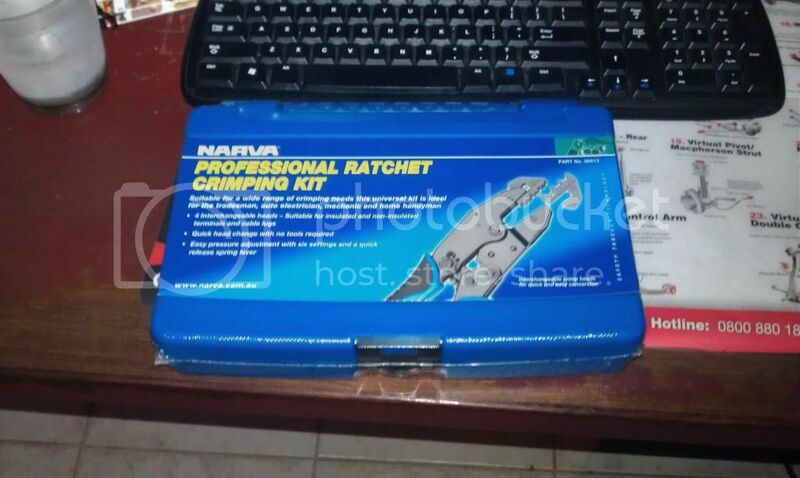 It has interchangeable heads, can crimp so many connectors, should be able to do all I'll need to do. 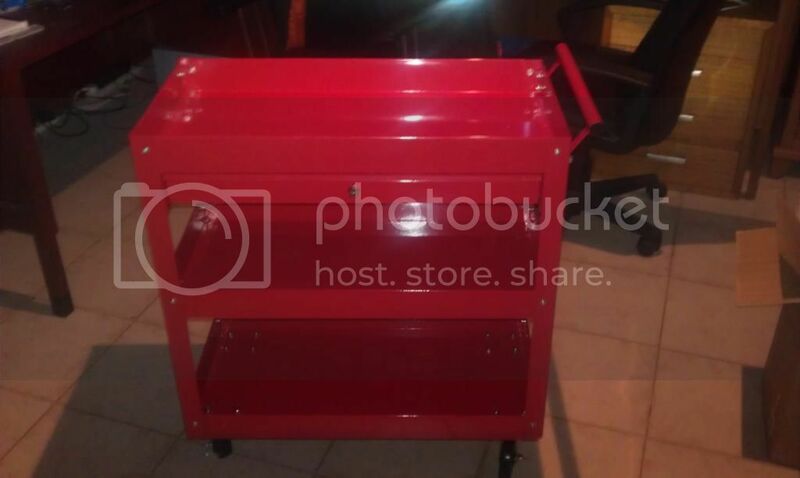 I also took the plunge & bought a tool trolley with a draw for the shed, that has made the job of making the wiring so much easier, putting the tools & consumables I need on it, and pushing it to my work bench. Should have bought one years ago! Speaking of building wiring looms, I'm 3/4 finished with the headlight loom. Low & High beam work, but I have to buy some new indiciators before I can test the indicator & park light circuits. 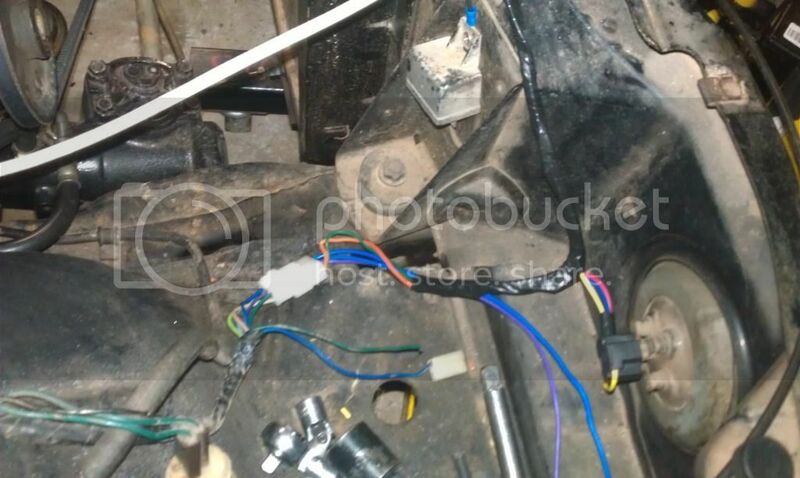 I have also half built the new engine loom for the v8 engine & a loom for the electronic ignition upgrade. Those looms are wired & working, just need some lengths fiddled on the wires and a fuse link holder fitted up before I tape the looms up to look like factory. I might have also located a reasonable priced fuel tank for the torana finally! I check it out thursday night. I've recently picked up a cool chrome air cleaner for it, and I found my chrome alternator bracket for some extra bling! Need to get some chrome side plates while I'm thinking of chrome bits, and I should probably order those indicators I need for the Hz pano while I'm on eBay. It's been ages since I've posted to the build thread...... My knee is slowly getting better, a lot more physio to go. That surprise I gave my wife, well we now have a healthy baby girl, and travel plans have been pushed back a year or so, I won't make it back to the USA until 2016 probably. Bomb car s**t the auto, so got a couple of mates to replace it with one from pick a part - which turned out to shift like brand new! Then the engine decided the rings didn't want to seal after a few weeks with the new auto in it. Got some mates to pull the engine out for me, and it got a hone & some new rings before being put back together with a reco head. A couple of weeks later a timing guide broke, had that replaced and it's been running good since. This bomb car has cost me a lot. In happier news, I picked up a new set of indicators for my pano & finished up that wiring loom. One bit closer to roadworthy. I've also picked up some parts for the mighty boy, one good thing about working on the top of that engine is that I can sit on a chair & reach into the bay to do the valve cover gasket, bolt seals, dizzy seal & set the tappet gaps. Made for an easy job. Now I have to get a mate to remove the steering column so I can put in new bearings, then a few other little things need to be done & it can get a rwc & go on club permit. Oh yeah, I also fit the AU v8 AFM I have had sitting around to my red Xr8. It free rev's a lot easier now, I can't wait until I can stand for long enough to replace the intake (got a AU v8 setup to go on) and the lifters while I've got the engine open. Hopefully only a few more months, then I can do the few things it needs & stick it on a dyno, see how much power it actually has. 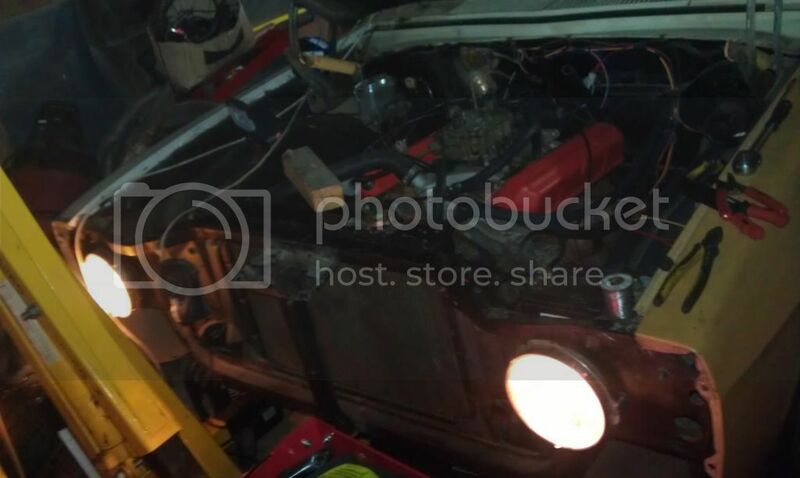 It's no slouch like a normal Eb 302 v8, but I'm curious as to what it has power wise. It's the end of the month. I've made a tiny bit of progress at physio, the physio doc is hopeful I'll be able to get into the mighty boy and drive it to work & back, a 9km trip each way, by the end of Feb. That would be cool, but I'm still many months off being able to drive my eb ghia & eb Xr8, or any of our other manual vehicles yet. I sat on a chair one hot night recently and worked on the drivers door window reg on my land cruiser, it's nice to have a window that moves like new again. It needs a few new clips on the door trim, they were missing, but it would be even better to get a new backing board and trim up a new door trim. Something that would be cool that I really can't be bothered doing, it's an old bomb after all, not a neat daily driver. It's for towing and going bush (when I'm finally healed, for now family & mates drive it). If I haven't posted it up, it's an old 1984 Hj60 Land cruiser wagon, with a steel bull bar, 12000lb Thomas winch, hella driving lights, Tinted windows, cd mp3 player, H4 conversion, dual battery setup, UHF, roof rack with pulley to drag things like a tinny up on top. It's got the top & bottom tailgate setup, and a rear roof console with a pair of 6x9's and some LED lighting for the cargo area. It's riding on 15inch sunrasia (sp?) rims with Maxis tyres. It's a diesel, running the slow but reliable 2H, 4.0 with less than 100kw but more than 350nm of torque at stupid low rev's. It's got extractors & a big exhaust, doesn't sound too bad out the pipe for a diesel! It even has ice cold air con! The battery failed under warranty in the EB Ghia. I have a solar battery charger, and was keeping the battery all good until a cell died. Century replaced it under warranty, so the 3yr warranty was worth it. I still haven't fit the new LPG injectors to it, haven't really had the need. I haven't done anything on the red Xr8 in a while, but soon I should have a new diff built for it. Sticking with the stock 3.27:1 ratio LSD for now due to lack of funds for a better ratio. Been ages, only now finally seeing the light at the end of the tunnel in regards to my left knee. Still have a lot of pain but not the physical limitations I had many months ago. Still not 100% functional tho.... maybe in another couple months time. Been a while since I have done anything much on the cars, life is busy with a young child. However, yesterday I finally got the new exhaust welded up & fit to the eb ghia. Finally I won't be annoying the neighbors so much with it (had no muffler at all for a while, it wasn't being driven due to injury). Soon life can get back to almost normal (still suffer chronic pain, which might never end) and I hope to get a lot of work done on my projects this summer, so it looks like the grandparents will get a few baby sitting jobs lol. Well, hello fine sir, and how may you (and, prey tell, the knee) be treating your good selves on such a morning? It really has been a while since FordNods hey day huh? Stalkerbook seems to have taken over. Thank f**k that no one on Stalkerbook has any money so the likes of TrayedMe and E-Lay still allow us to swap our parts for a little cash. So saying that, something just bucked the trend. I happened to see a FordNods member suggesting they were buying a newly ported Eaton M112 so jumped onto chat without considering the consequences of lack of food and hit the BUY NOW button. Technically speaking, you are correct. There is no BUY NOW button on Stalkerbook messenger. IN fact, with the Stalkerbook constantly updating, there is very little of actual use, or benefit, to the user of such messenging programme. However, for the purposes of the story, let it slide. Far be it from us to get bogged down in off topic and idle chit chat. This is FORDNODS after all. Dry, banterless, and always on the point. That is why it is such a successful s**t. The only site taking on Stalkerbook at it's own game. Us New Zealanders would go "yeaaahhh, rigggghht" at this point. But no one else would have one single clue as to what we are on about. Nor do they give a flying s**t. Which is totally fair. I understand, and respect, their decision making process on this matter. So, I feel for your knee. And yourself. And for FordNods in general. Have been missing you fellas. And updating our epic threads once a bloody year is just not good enough. Maybe allowing individual users to put advertising on their own threads will allow FordNodders to continue long and prosper?